Aged-Dated Sherries are a new category of Sherry. These are selected soleras of deeply mature Oloroso sherry whose origins date back to the very birth of the bodega, sometimes as far back as in the 19th century. Due to their special qualities and extraordinary age these wines were rarely commercialized in the past. Traditionally they were enjoyed by few, very privileged, members of the bodega family and their trusted employees, or used to welcome important personages visiting Jerez. 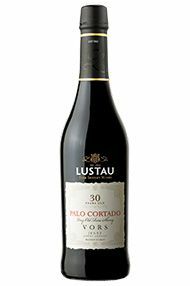 Vinos de más de 20 años, or V.O.S., granted to wines older than 20 years old, and Vinos de más de 30 años, or V.O.R.S., granted to wines older than 30 years old.